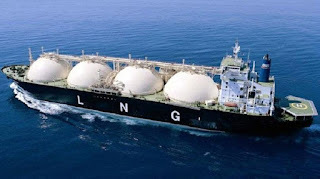 A decline in PNG LNG exports to Japan was noted for the five months after the Feb 26 earthquake, which was 50 per cent lower in comparison to the same period last year. Embassy of Japan acting deputy chief of mission Shinichi Maruo said that was expected to eventually increase to last year’s levels because of the fast production restart. “Japan is importing half of the total LNG produced in PNG, which in 2017, amounted to 4.2 million tonnes, worth about K6.1 billion – making PNG the seventh largest supplier for Japan,” he said. “PNG LNG exports make up 5.1 per cent of Japan’s total import of 83.6 million tonnes of LNG from around the world. “Although the amount of LNG exports to Japan dropped to 54 per cent of the same period last year for the first five months in 2018, due to the two-month shutdown of LNG production after the earthquake struck the Highlands in February, it will soon return to the same level as the previous year after the prompt resumption of LNG production. “PNG-Japan LNG trade was also expected to increase in the next few years when Papua LNG comes online. PNG will even be a more-important LNG supplier for Japan when the new LNG project becomes operational. “LNG trade between the two countries will increase in the future. Mahuro said there was great potential in other sectors in PNG when asked about opportunities for Japan outside LNG. “Besides LNG, PNG has great potential yet to be tapped into such sectors as minerals, agriculture, forestry and fisheries,” he said.